There is still a lingering misconception today that freelancers – or sole practitioners – are simply professionals between jobs, and that the act of freelancing is more of a necessity for them than a choice. This misconception is also fortified by the perception that most of these individuals must have been let go from a job or passed up for new opportunities because they are not talented or good at what they do. This is simply not true. In fact the opposite reigns: freelancers today are doing their own thing, on their own terms, by choice. For a myriad of reasons, these individuals have chosen to work in a sole proprietor or freelance capacity because it better suits their current professional and/or personal goals. They might desire greater flexibility or just simply want to have more control of their professional destinies. Thanks to technology — specifically the ability to be able to connect anywhere at any time— individuals spanning all generations are now working in a free-lance capacity. According to Fabio Rosati, CEO of elance.com, an online community of over 2.5 million freelancers and 500,000 businesses, freelancers, consultants and temps make up twenty-five percent of the workforce. That number isn’t expected to shrink in the upcoming years. Earlier this year, software company Intuit predicted that by 2020, 40% of the American workforce (or 60 million people) will be employed as freelancers. So as a business leader, why should you consider working with freelancers? While there are many millennial developers, graphic designers and social media freelancers today, I believe that much of the marketing and communications fields are comprised of seasoned and successful veterans in their industry. Because of their experience and expertise, they are able to command a higher fee for their services. This is great for them, but it’s also good for you as a business owner, because their fees are still typically much less than the hourly rate you would pay for their same services if they were working at a big agency, since its rates and costs are higher in order to help cover fixed costs including salaries, building rent, benefits, etc. As a business owner or marketing manager, selecting an agency as a partner has as much to do with the agency’s reputation and portfolio as it does the folks involved in the pitch. Chemistry, personality and work styles play a large part in why businesses may select one agency over another. So, it’s no surprise that many companies are often blind-sided when they call the account supervisor (who was in the pitch) with a problem or challenge, and discover that this person knows very little of what’s been happening daily on the account. Sure, underlings are supposed to communicate to their team leaders, but those team leaders might be managing other accounts as well as being pulled in to pitch new business. It’s part a function of and part good business sense for the agency to utilize junior people for the blocking and tackling since their hourly rates are lower. However, junior folks lack the experience and confidence that allows them to make a quick decision on a dime or handle conflict in an effective manner. Working with an accomplished freelancer gives you the best of both worlds. Your experienced account person is deep in the trenches, and at the same time, has the savvy and skillset to handle any situation – whether it’s a negative Tweet or an emerging crisis situation – in a quick and efficient manner. 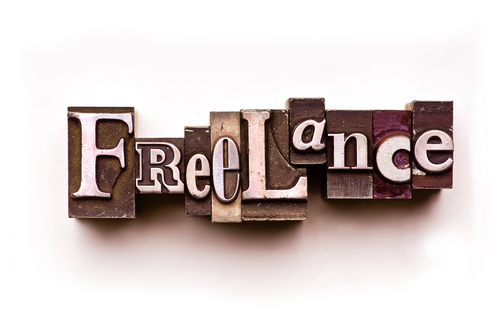 Working with a freelancer is advantageous since they are able to respond and adapt to your needs or any changes in a program without a hassle. Solo practitioners don’t have to go through a series of processes in order to accommodate any changes in the scope of a project. Agency processes are typically very rigid, and while they are meant to streamline project time and costs, they often have the opposite effect. Think of all the internal meetings and steps the agency must implement– and that’s all before they begin any actual work on your account. Freelancers work quickly. Their expertise allows them to speedily turn over projects. For instance, a seasoned PR person can write a news release in about half the time of a less experienced practitioner. Years of ‘doing’ gives them the advantage in knowing all of the steps to successfully complete a project. After all, they’ve done it many, many times before and know all of the short cuts. Moreover, as was mentioned above, they don’t get bogged down following all of the agency processes (or office politics) that add time to jobs. Don’t get me wrong, I’m not suggesting that businesses forego agencies to only work with freelancers. Agencies do serve a great purpose. Larger companies and big brands can justify hiring an agency, since they often require a more dynamic, integrated marketing plan involving many resources that are often under one agency roof. But, if you are own a smaller business or run a small marketing department and you don’t want to sacrifice great counsel and service for a lower price, I encourage you to check out the local freelancers in your area, myself included.